I am testing a new item in shop. So what do you think about it. 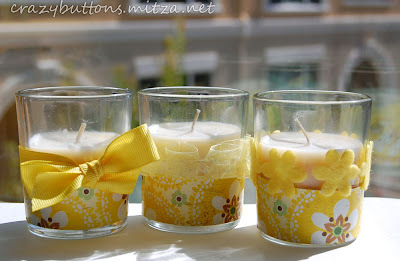 They are paper embellished votive candles.....well the glass holder is embellished not the candle itself. I do not want a fire on my hands. So any thoughts? I know you are shy on comments.